Every section of Virginia has been a battleground. Native Americans did not live in peace and harmony. For perhaps 20,000 years, they competed for hunting territories and prestige resources by negotiating and by fighting. Pre-colonial Virginians used fire and sharpened stones to cut down trees, then muscle power to haul logs and stand them upright in order to construct wooden walls around towns. The labor required to build a palisade with primitive tools was difficult, but walls were necessary to protect against attack by enemies. The ditches in which logs were placed vertically were dug with "shovels" made from large animal shoulder bones attached to sticks with leather thongs. Powhatan traded with the English after 1607 to acquire copper, glass beads and other rare items to increase his status, but the Native Americans who maintained palisades around towns must have appreciated even more the acquisition of sturdy iron tools for construction. The first English colonists at Jamestown followed the Native American example for protecting their new settlement; they built a walled fort for protection at Jamestown. 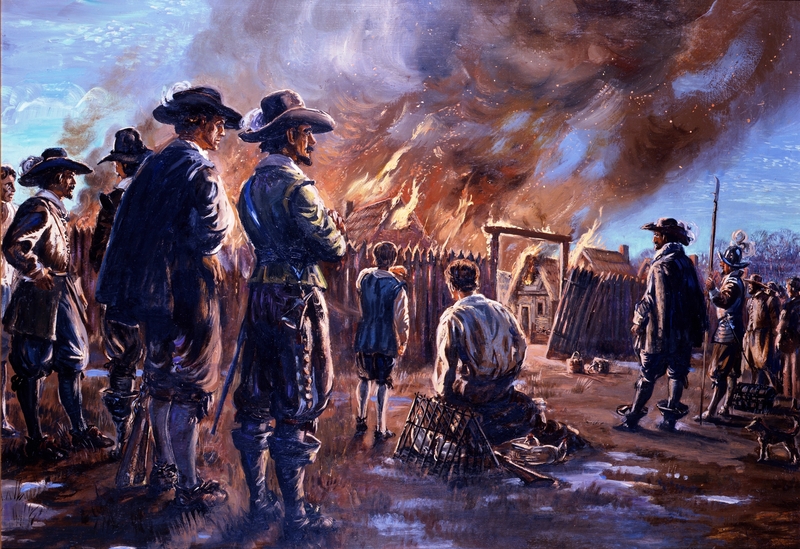 The English colonists burned that fort once by accident, and abandoned it briefly in 1610 when all the colonists headed home after the "Starving Time" winter, but the Native Americans never captured that fort. Fear of European attack from the sea shaped the initial settlement of Virginia. 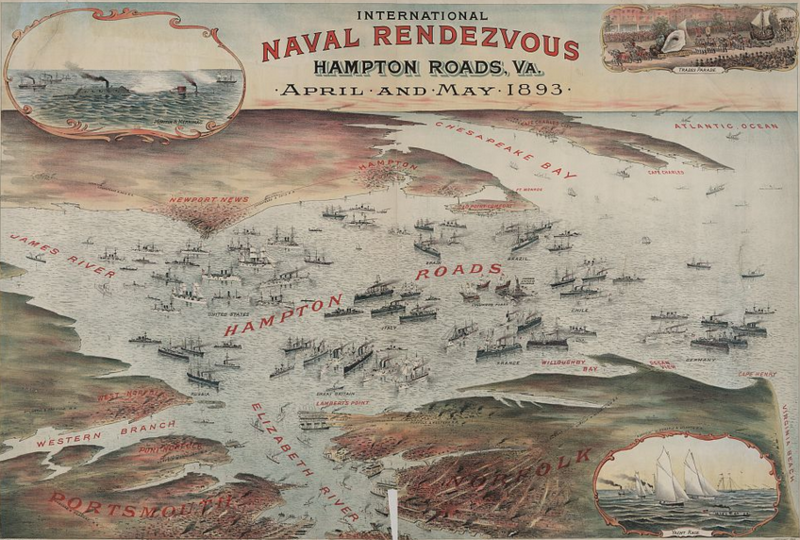 The Virginia Company directed the colonists to pick an initial site upstream on the James River, and fear of the Spanish delayed settlement at the excellent natural harbors in Hampton Roads. The Anglo-Powhatan wars constrained the locations of early settlements as well, blocking migration upstream. 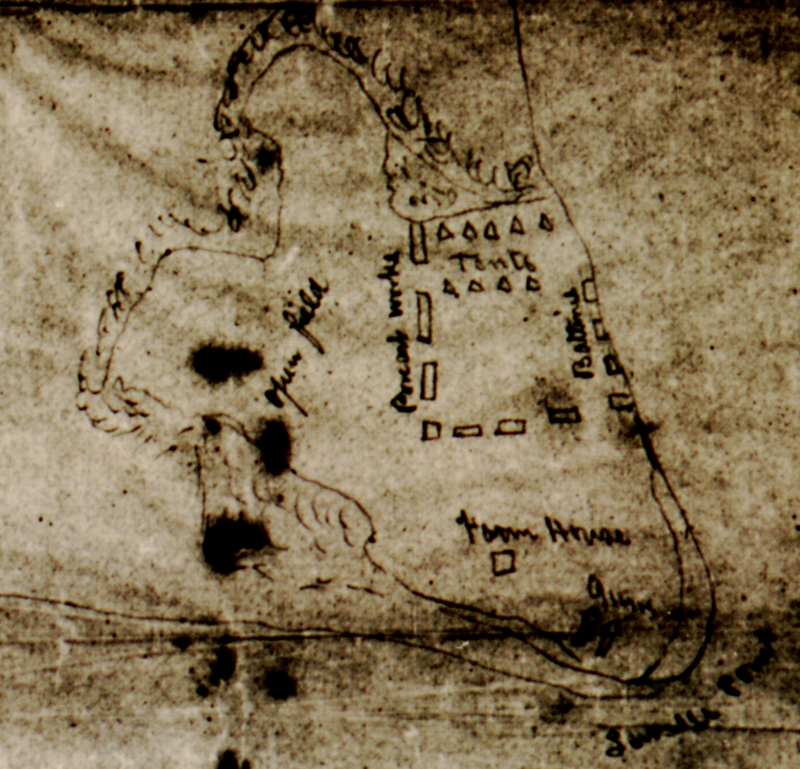 Plans to make Henricus the new colonial capital, replacing Jamestown, were abandoned after the uprising led by Opechancanough in 1622. The town of Richmond was not started at the Fall Line for over another century. Military threats were internal as well as external. During Bacon's Rebellion in 1676, rebels led by Nathaniel Bacon burned the colonial capital at Jamestown. The colonial governor, William Berkeley, fled across the Chesapeake Bay to Northampton County. The fears of the London Company in 1606, when it prepared instructions for the first colony to sail upstream for protection against Spanish or other enemies, were valid. The Spanish checked out the English settlement in 1609 and again in 1611, but it was not until 1667 that Virginia was finally attacked by a European country. Dutch - not Spanish - warships sailed into the Chesapeake Bay that year. It was seven years after the 1660 Navigation Acts had excluded the Dutch from trading with English colonies, and three years after the English had seized New Amsterdam (renaming it New York) in 1664. 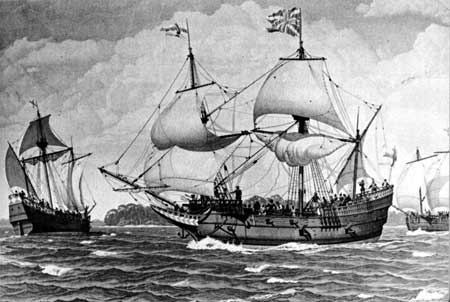 The tobacco fleet in the Chesapeake Bay was supposed to be protected by an English frigate, the Elizabeth. Unfortunately for the plantation owners who were planning to export their crop to England, that ship was unseaworthy. The English were too poor to provide adequate protection from enemy attacks in the colonies. There had a long civil war between royalists and Puritans, followed by the plague and the Great Fire of London; maintaining a strong navy was not the first priority of Parliament. In 1667, five Dutch warships succeeded in burning the Elizabeth guardship. The Dutch then captured the fleet of merchant ships about to carry the Virginia tobacco crop to England. That single Dutch victory in Virginia, far away from the European theater, did not alter the course of the Anglo-Dutch war, but it affected the fortunes of some plantation owners and English merchants. A century later in the Revolutionary War, the Chesapeake Bay was an avenue of attack again. Fearing a British invasion, the revolutionary government in Virginia moved the capital inland from Williamsburg to Richmond in 1780. However, in 1781 the British easily sailed up the James River, landed troops and destroyed the public buildings in the new capital. The legislators and Governor Thomas Jefferson fled west to the Blue Ridge. While most marching and fighting occurred east of the Fall Line, British cavalry chased the General Assembly out of Charlottesville, forcing legislators to flee across the Blue Ridge to reassemble in Staunton. The critical battle in 1781 that determined the fate of the United States as an independent nation occurred in the waters off Virginia, rather than on land. The French fleet defeated the British fleet in the "Battle of the Capes" on September 5, 1781. That blocked reinforcement or rescue of Lord Cornwallis' army bottled up at Yorktown. The British ended most military operations after Cornwallis' surrender, and ultimately signed a peace treaty in 1783. After the American Revolution, the American military also failed to keep enemy ships out of the Chesapeake Bay. During the War of 1812, British warships used Tangier Island as their base of operations in the bay. In 1814, a fleet brought British troops up the Patuxent River. The troops marched to Washington and burned the public buildings, including the Capitol and Executive Mansion. At the same time, another fleet sailed up the Potomac River to Alexandria. A fort on the Maryland shore (now called Fort Washington) was supposed to block attacks by water, but the American commander quickly abandoned the fort without resisting. 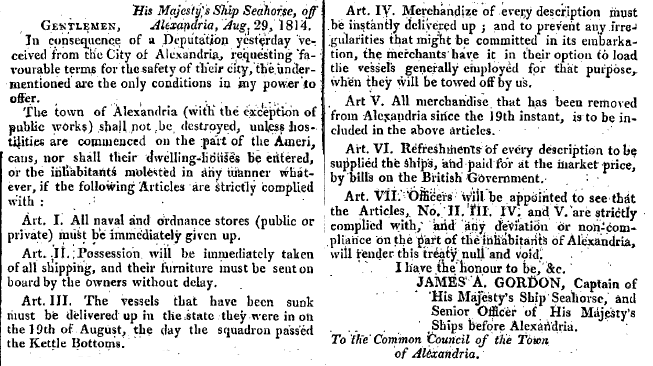 Neither the national government nor the state militia were able to protect Alexandria, but Hampton Roads fared better. US Navy sailors and Virginia state militia in Hampton Roads fortified Craney Island and defended it successfully. In contrast to the American Revolution, when the British easily sailed up the Elizabeth River and occupied Portsmouth, during the War of 1812 the British were unable to attack the Gosport Navy Yard. 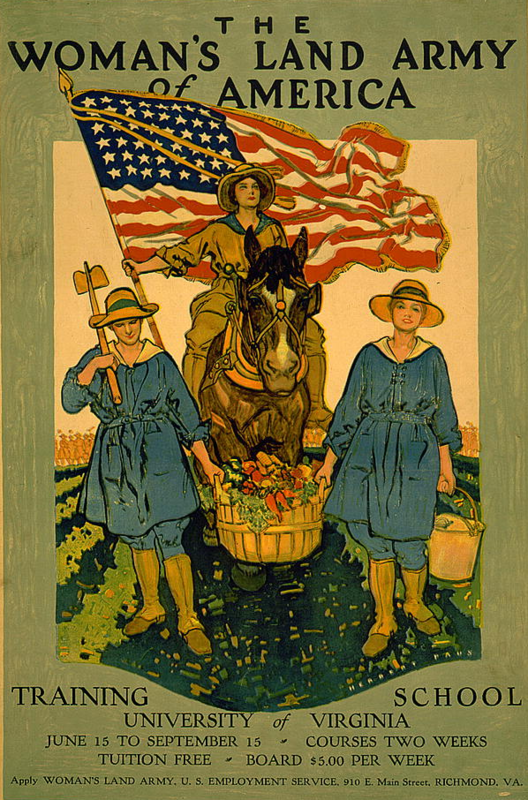 During the Civil War, all of Virginia was threatened with invasion at one time or another. The Union quickly established control over Alexandria, invading Virginia immediately after voters ratified the ordinance of secession. Northern Virginia (NOVA) is a distinctly different region from the Rest of Virginia (ROVA) today, and Federal occupation of Alexandria throughout the Civil War is one of many reasons for the distinction. 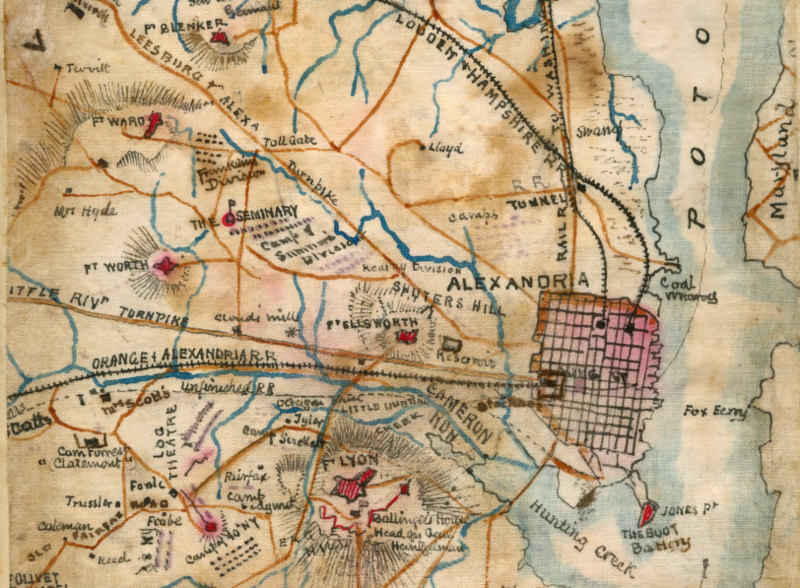 Why did the Union Army seize Alexandria first on May 24, 1861? The occupation reduced the potential for Confederate artillery bombardment of the White House and the Capitol from Arlington Heights near Reagan National airport, which could have killed President Lincoln and Congressional leaders. Seizure of Northern Virginia, from Chain Bridge to Hunting Creek, also protected the Union military forces that assembled in the District of Columbia before they were deployed to fight on the front lines. Occupation also blocked the potential of a Confederate raid on the capital of the national (Federal) government. 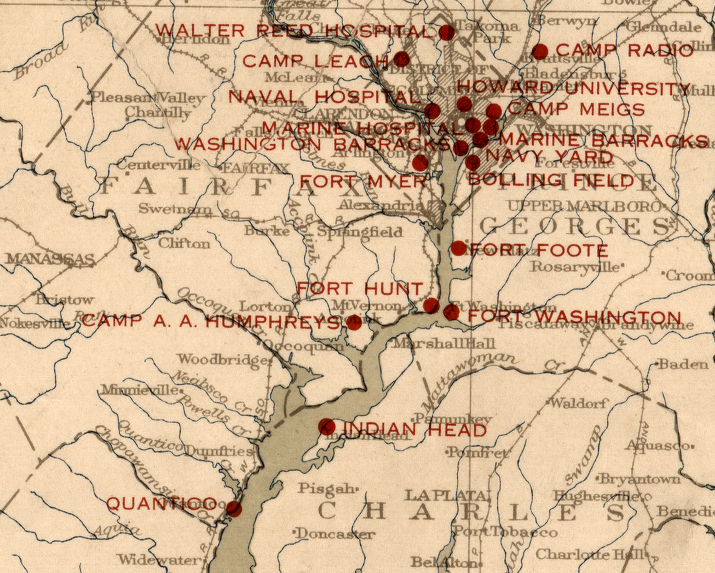 After the Union completed a ring of forts around the District of Columbia, the occupied territory served as a supply depot. Fort Ward, now a historical park in Alexandria, was constructed as one of a ring of forts to protect the Federal capital. 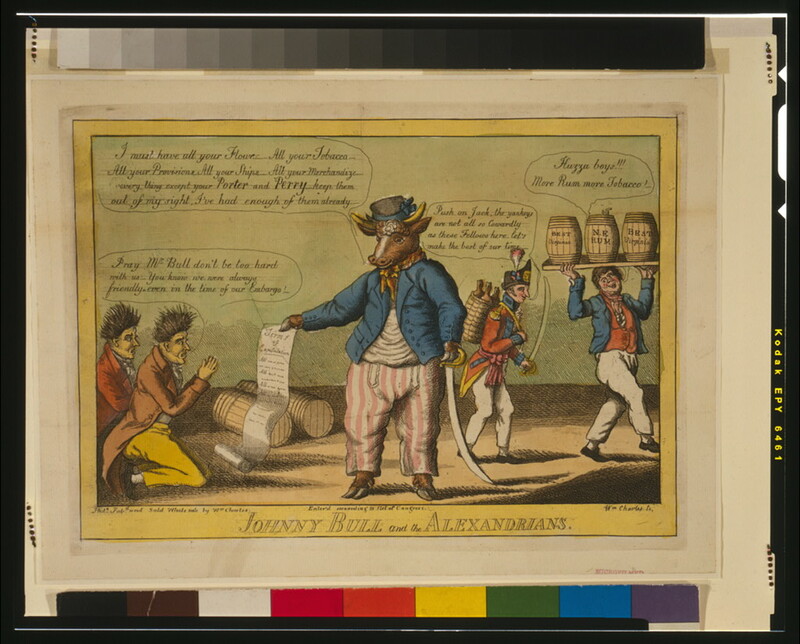 Alexandria also provided potential for Union-initiated offensive operations. It served as the jumping-off point for the first attempt to capture the Confederate capital 100 miles south in Richmond. 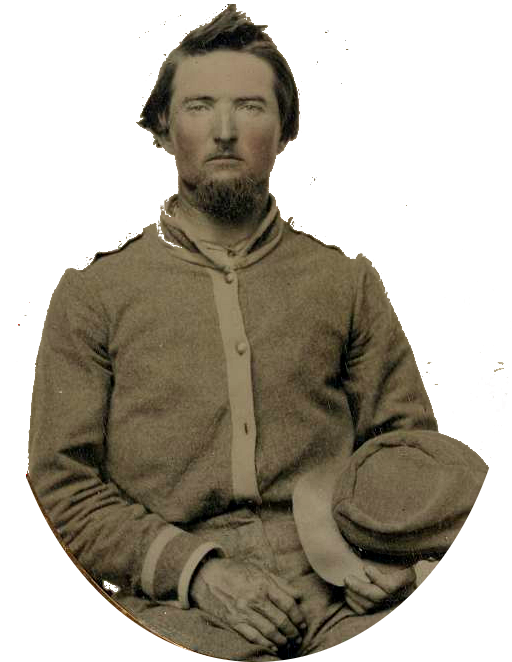 General McDowell led 35,000 troops from bases in Northern Virginia to Manassas in July, 1861. 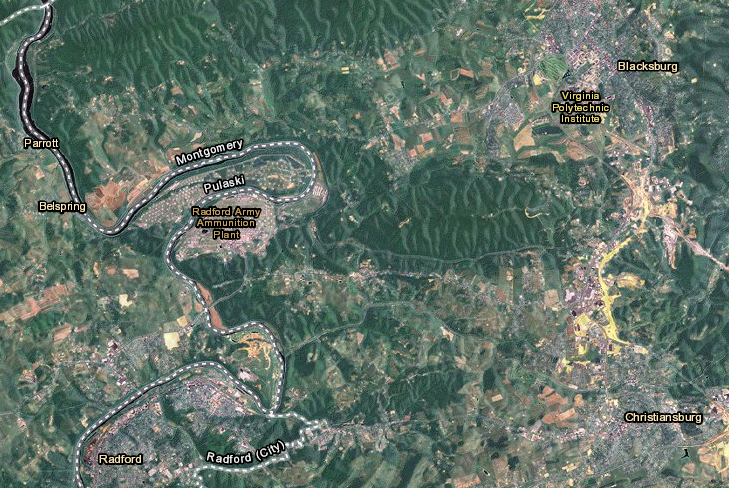 Troops that took three days to march slowly west to Bull Run managed to return in less than one day, returning swiftly after the Union defeat. Further south at the tip of the Peninsula, Union forces retained control of Fort Wool and Fort Monroe after Virginia seceded. Fort Monroe became key to the Union's second "On to Richmond" attempt, the Peninsula Campaign in 1862. 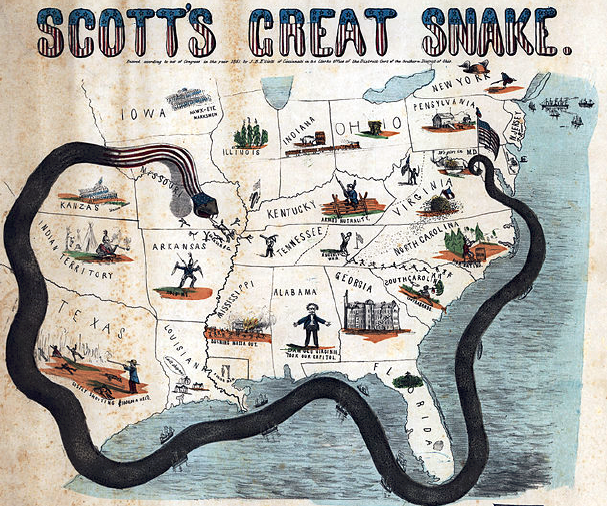 In that campaign, the Union army was supplied through boats rather than through railroads. The Union Navy controlled the Potomac River and Hampton Roads, plus the downstream segments of the York and James rivers. 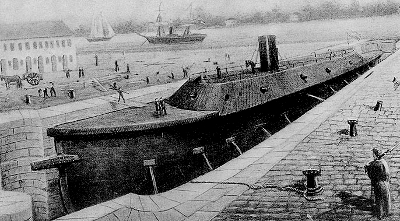 Naval control ensured safe delivery of supplies to the Union Army on the Peninsula, even after General McClellan shifted his base of operations to the James River. In Virginia's northwestern counties, Union forces seized control of the Baltimore and Ohio (B&O) railroad corridor and guarded it throughout the war. Confederate attacks were occasionally successful in capturing trains and destroying bridges. Union occupation of Virginia's northwestern counties facilitated the creation of the new state of West Virginia in 1863, reducing the size of Virginia by one-third. The northern part of the Shenandoah Valley was constantly crossed by armies and cavalry of both sides, and control of Winchester shifted often throughout the Civil War. In 1862 Stonewall Jackson defeated two separate Union armies that had reached the southern tip of Massanutten Mountain, in a campaign still studied today for his creative use of fast-marching infantry as foot cavalry. Two years later, the Union sought to eliminate the Shenandoah Valley as the "breadbasket of the Confederacy" providing food to General Lee's army trapped in Petersburg, by burning farms and destroying livestock in the 1864 Burning Raid. Southwestern Virginia, all the way to Cumberland Gap, was also threatened multiple times during the four years of the Civil War. The Union army targeted the saltworks at Saltville, since the salt was essential for curing beef and providing food to Confederate forces. The Virginia and Tennessee Railroad, which carried supplies from the region to Lynchburg, was attacked several times. 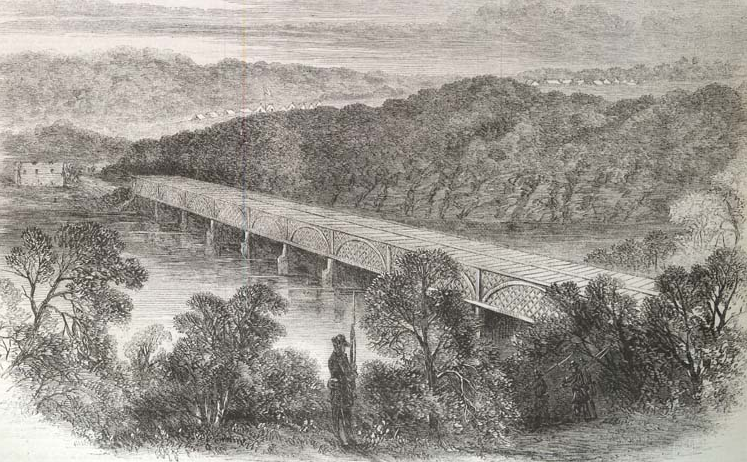 In May 1864, after the Confederates failed to stop a Union invasion at the Battle of Cloyd's Mountain in Pulaski County, the railroad bridge at Radford (called Central Depot at the time) was torched. All modern military bases in the state except for the Radford Army Ammunition Plant and Warrenton Training Center are located along the Fall Line (including the Pentagon) or in Tidewater. Most large bases can be supplied by ship, and even inland bases such as Fort Pickett have railroad connections to ports in order to send forces overseas by ship. 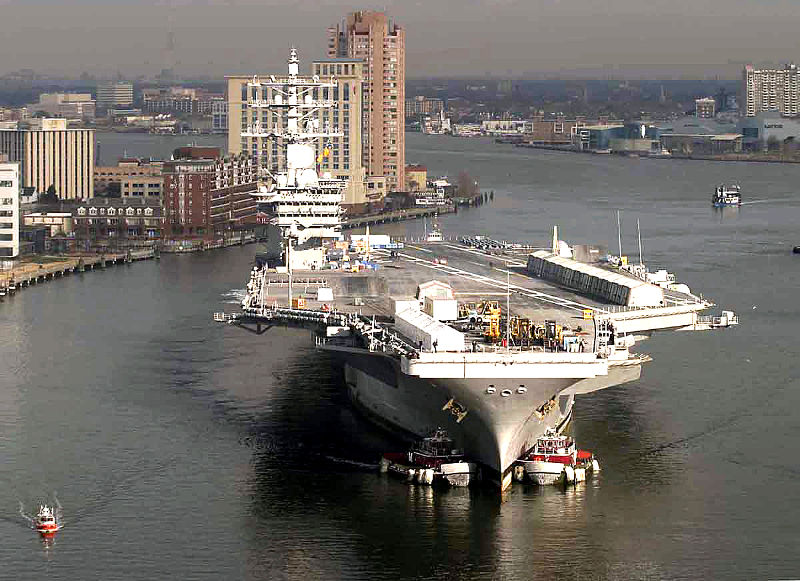 The primary naval base on the East Coast is located on the Elizabeth River in Norfolk. Further west on the James River is the Newport News Shipbuilding Company, the only place in the Western Hemisphere where aircraft carriers are constructed. 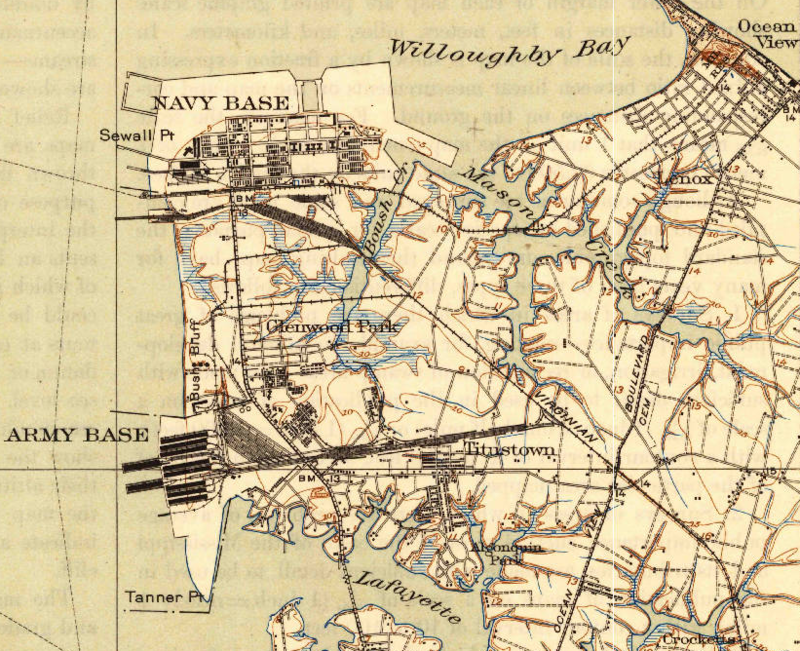 In 1918, the Navy consolidated its underwater mines on the East Coast at what is now Naval Weapons Station Yorktown. As the Jamestown colonists knew well, the Atlantic Ocean is a two-way street; facilities located on shipping channels can be threatened by foreign forces. In 1780, the rebellious colonists moved the state capital inland from Williamsburg to Richmond to reduce the risk of seizure by the British. Moving the capital was not a successful strategy; Benedict Arnold captured Richmond in 1781. 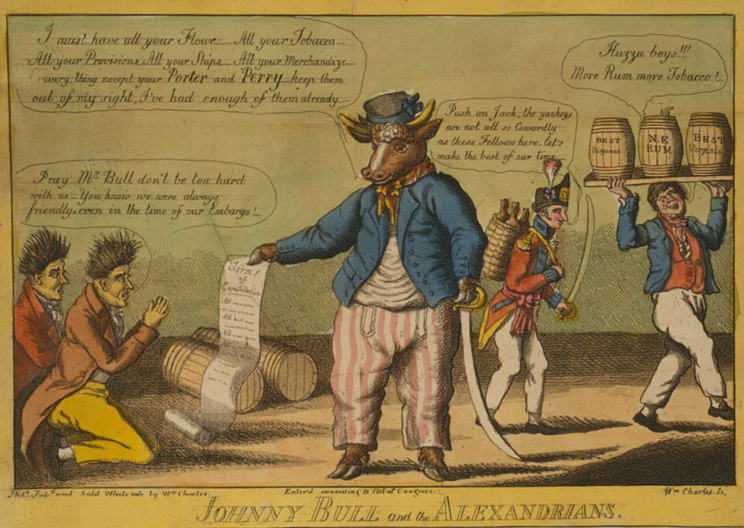 Arnold mostly stole tobacco, because there were almost no public facilities in Richmond for the British to destroy. About 150 years later at the start of World War II, the Federal government located the Radford Army Ammunition Plant far inland on the New River. That location was considered to be safe from any attack by enemy ships that might cross the Atlantic Ocean. The Radford Arsenal still produces propellants and 100% of the TNT used by the military. The facility is the largest discharger of nitrogen in Virginia, but the excessive nitrogen in the Arsenal's wastewater does not drain into the eutrophic Chesapeake Bay because of the decision to locate it so far inland. The excess nitrogen flows towards the Gulf of Mexico, with its own "dead zone" at the mouth of the Mississippi River. The Radford Arsenal is not required to modify its pollution discharge in order to protect the Chesapeake Bay, but the facility may be required to reduce emissions by a future Total Maximum Daily Load (TMDL) for the Gulf of Mexico. Virginia's location near the national capital resulted in the Pentagon being constructed in the state. The need for contractors to support the information technology used by military offices in Northern Virginia has transformed the economy of the region. Had the Pentagon been located in Maryland, the contractors would have located their offices on the other side of the Potomac River. Tysons might have evolved into a bedroom suburb, instead of an edge city with offices occupied by defense contractors described sarcastically as Beltway Bandits. Source: Library of Congress, International naval rendezvous, Hampton Roads Va. While it is not literally true that one more military base in the Norfolk area might cause Virginia to tilt up on its side and sink into the Atlantic Ocean, Hampton Roads is running out of space for military facilities. Oceana Naval Air Station was established in Princess Anne County (now the City of Virginia Beach) in 1940, when the area surrounding it was farmland. During the Base Realignment and Closure (BRAC) process of the 1990's, Oceana Naval Air Station was recommended for closure. Suburban development or "encroachment" had increased the potential for a disastrous accident dramatically, and regularly triggered noise complaints from the neighbors. Constant low-altitude flights and practice carrier landings may generate the "sound of freedom," but the noise can also make it stressful to live nearby. 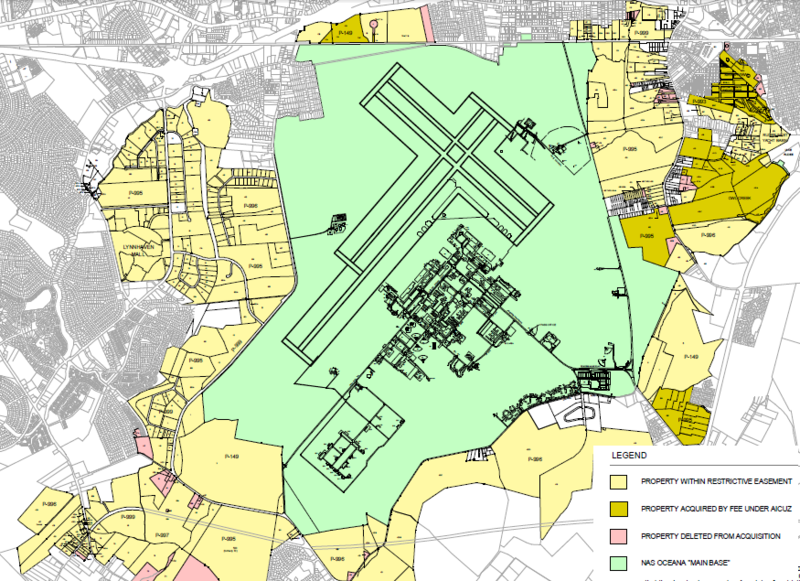 The Navy defined Air Installations Compatible Use Zones (AICUZ) around the jet fighter base, but the city controlled zoning and building permits. Local officials can and have ignored the Navy's designations, and in the 1980's the City of Virginia Beach authorized new subdivisions for housing and new commercial development near the military base. Facilitating suburban growth enabled landowners to sell at a higher price, generating political support and campaign contributions for members of City Council. Military objections to incompatible uses on the edge of the base were not considered a sufficient reason to block rezoning proposals. The city rarely acted on concerns about encroachment until the BRAC process. When the US Navy threatened to leave Oceana Naval Air Station and take a substantial number of jobs to a different location, local officials altered their development decisions. State and city officials developed a long-term plan for retaining Oceana Naval Air Station. The city is rejecting most proposals for increasing density near the base. In addition, the state and military are now funding the city's purchase of property and easements to limit development within defined zones near the base. Restricting future development is expected to buffer the edge of the Oceana Naval Air Station, reducing the risk of death/damage from the inevitable plane crashes and perpetuating the role of the US Navy as the most important employer in Hampton Roads. 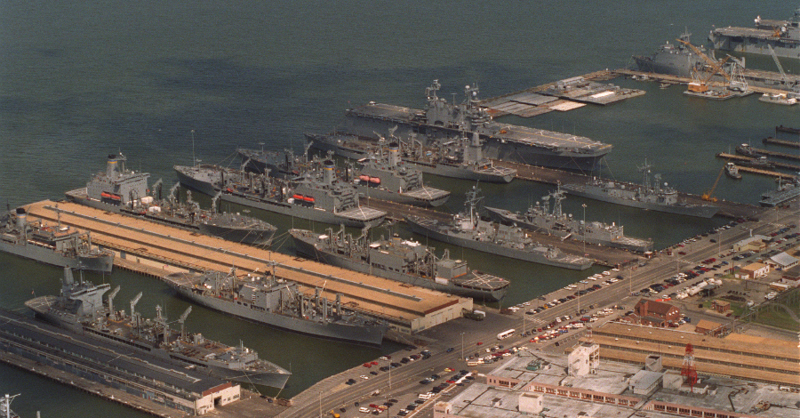 The military bases in Hampton Roads are major parts of the local economy. Every proposal to relocate one of the aircraft carriers based at Norfolk to Florida or San Diego was fought strenuously by Virginia's elected Representatives and Senators in Congress, whatever their political party. "more military men and women live in the Hampton Roads metropolitan area than anywhere else in the country... The vast majority of those military men and women are in the Navy -- roughly 80 percent -- and the vast majority live in Virginia Beach and Norfolk, in nearly equal portions. Six percent of adults 25-64 are in the Armed Forces, a much higher proportion than statewide (2%) and nationwide (less than 1%). So How Do We Describe Military Conflicts Without Igniting Passions Again?